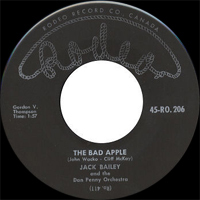 Chanteur Rockabilly Canadien né en 1938 à Peterborough (Ontario). 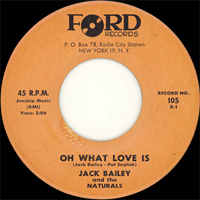 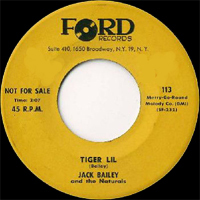 Jack Bailey a enregistré quelques singles au début des années soixante sur les labels Rodeo (59) , Mala (61), Ford (61-63) et Chateau Records (61). 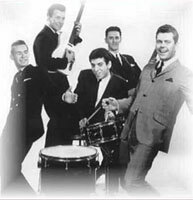 Canadian Rockabilly singer born in 1938 in Peterborough (Ontario). 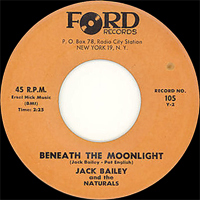 Jack Bailey recorded some singles at the beginning of the Sixties on the Rodeo labels (59), Mala (61), Ford (61-63) and Castle Records (61).